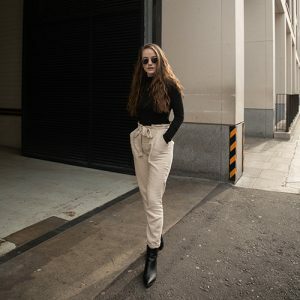 If you’ve been keeping up with the old blog for the last few months, you’ll know I’ve been trying to live a more sustainable lifestyle. It’s all still in the works and I’ve got a long way to go. But we’re getting there. And one thing I’ve been trying to change out more recently is my beauty routine. There’s over 300 million tons of plastic produced each year, and only 90% of that is recycled. And our bathrooms and wash bags are filled with so many unnecessary single use plastic waste. But there’s so many plastic-free swaps you can make to have more of a zero waste beauty routine. So here are a few easy swaps you can make to minimize waste that actually work really well and won’t break the bank. I was always unsure as to whether shampoo bars would be for me. Having high-maintenance hair, I wasn’t sure if they were going to do the trick. But, it’s a game changer. 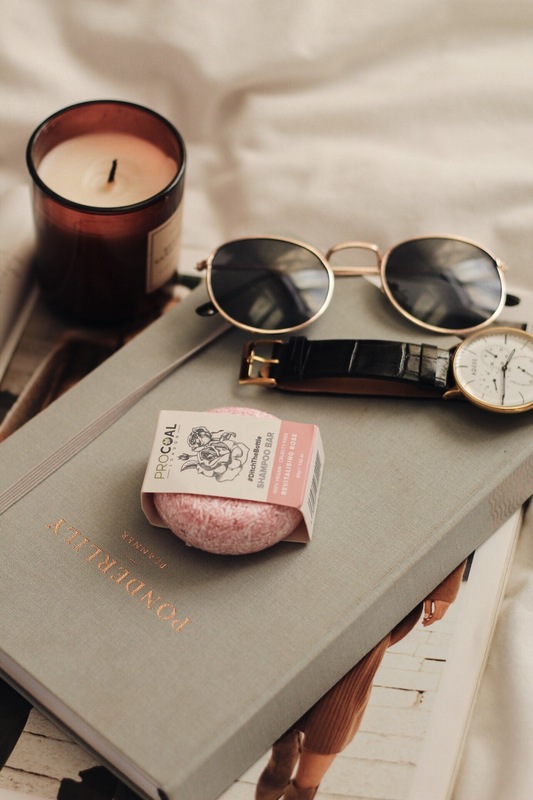 I’ve been using the Procoal Revitalising Rose Shampoo Bar and it makes my hair feel so healthy and nourished. And it’s also become a great way to ditch the bottle and plastic free essential in my shower now, and outlasts bottled shampoos by a long shot. I would recommend buying the first one in a tin, having a little tin to put them in just keeps them fresh and mess free. Plastic microbeads can be some of the most harmful forms of plastic pollution in our oceans. So switch out the regular body scrub or face scrubs for sugar/coffee scrubs. Even better, get one in a bar form or in a tin to save the plastic tubs. I love the Harper & Ari coffee exfoliating cubes. They’re great for leaving your skin feeling brand new, plus they smell great! Looking back at it, removing my makeup or cleansing my face would entail a lot of product out of a plastic bottle, onto at least 2 cotton wool pads a day. Cotton is another big criminal in polluting the planet, and also taking away lives and homes of many people. But buying a reusable makeup removing cloth does the world of good. I picked mine up in Primark for £1.50 and I’ve not stopped using it. It doesn’t give you that deep clean, but for taking your makeup off it gets the job done and when it’s dirty just stick it in the wash. And to think you pay nearly the same amount each time you buy makeup wipes, its going to save a lot of money too. Likewise with reusable cotton pads. A pack of 10 reusable pads on Amazon is around £8.99, which may seem steep but to think they’ll last you a long time you’ll save over double that in not buying bags and bags off cotton wool pads. Although for day to day I do use my electric toothbrush, bamboo toothbrushes are great travel toothbrushes and give a really good clean. They come in a cardboard box so even the packaging biodegrades and can be recycled easily. You can also buy recycled toothbrushes if bamboo isn’t your thing. Definitely check out the Preserve ones as I’ve heard good things about their toothbrushes. But neither will cost you much at all! You can also get organic silk floss which is biodegradable, you can get your regular minty kind or activated charcoal, so there’s plenty of choice! Ladies, I know we can’t prevent mother nature doing it’s thing. But it is scary how much plastic waste we have to use up when that time comes around each month. This could easily be eliminated by using a menstrual cup or some reusable sanitary towels, whichever works best for you. I won’t lie, both take some getting used to, but the difference they’ll make is incredible! You’ll be amazed what multipurpose products are out there. From multipurpose makeup, which is perfect for me who a. is so lazy with makeup and b. has no space for mountains of makeup products. 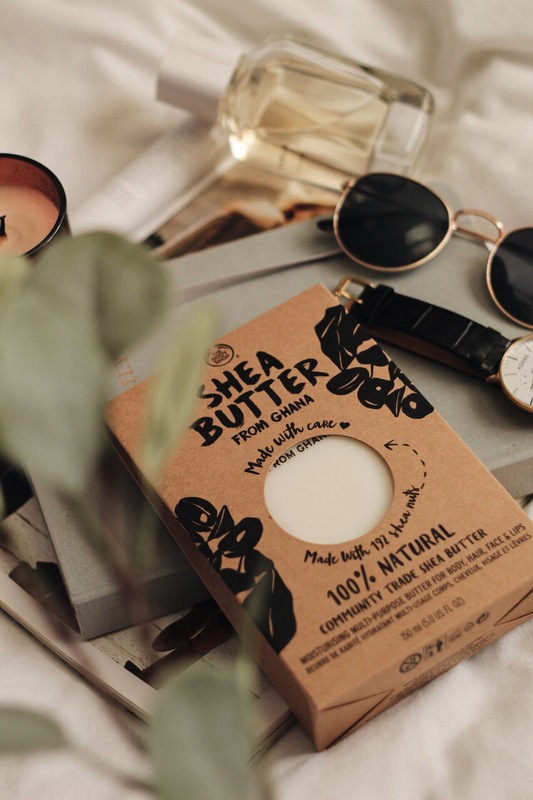 To multipurpose cleansers – I’ve been using this Body Shop Shea Butter cleansing bar for face, body & hair and it’s fab! And also products you never knew could be used for your skin as well. An obvious one, but take coconut oil for example. A great and healthy way to cook your food, but also great to moisturise your skin, nourish the ends of your hair and treat dry lips. And there are so many more, you could even make a homemade facemask for your next pamper evening. There’s quite a few more I could talk about, but I think that’s enough for now. 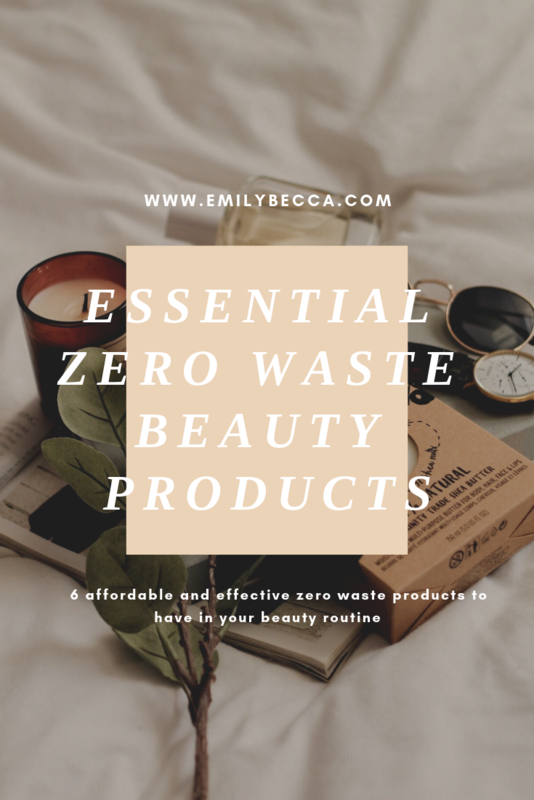 If you have any other products you use to promote a zero waste beauty routine let me know! What an awesome post Emily! I’m trying to do the same thing and I’ve also made some of the changes you have. For example I regularly use shampoo bars as well as reusable sanitary towels. I feel like they’re great makes a reall difference to my plastic intake. I have just ordered the Face Halos which are reusable makeup remover cloths so I can’t wait to add that to my sustainable parts of life. I also loved that you included different products which you use and love so other people know where they can start. I can’t wait to see more similar posts from you! 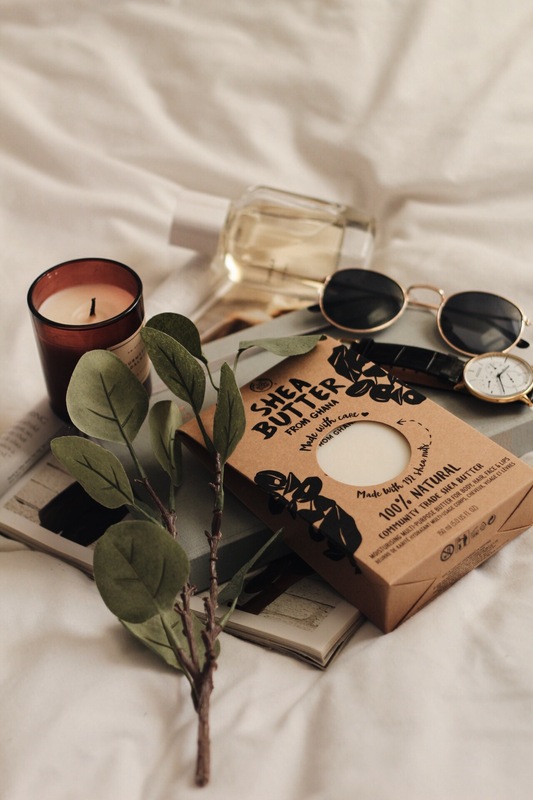 Actually never knew that they made shampoo bars – super interesting! This was such a well thought out post. Very well written! I’ve been working on ways to make my home zero-waste and I love all the products you mentioned in this post! It’s a slow process and it’s definitely a big change but I’m super happy more people are talking about this! Shampoo bar!?!? I am honestly intrigued, must try that! Love that you’re using less plastic, we’re on a slow journey but we’re getting there! Yesss you need to try it – takes a bit of getting used to with how it lathers up, but they’re so great, last ages and are perfect for travelling! Thank you, I’m still working on it too but it’s all about those small changes! This is a great post! I’m ashamed to admit that I never really thought about the impact of cotton wool – I’m definitely going to look into a reusable wipe. That would be five cotton pads a week just from taking make up off, let alone anything else. 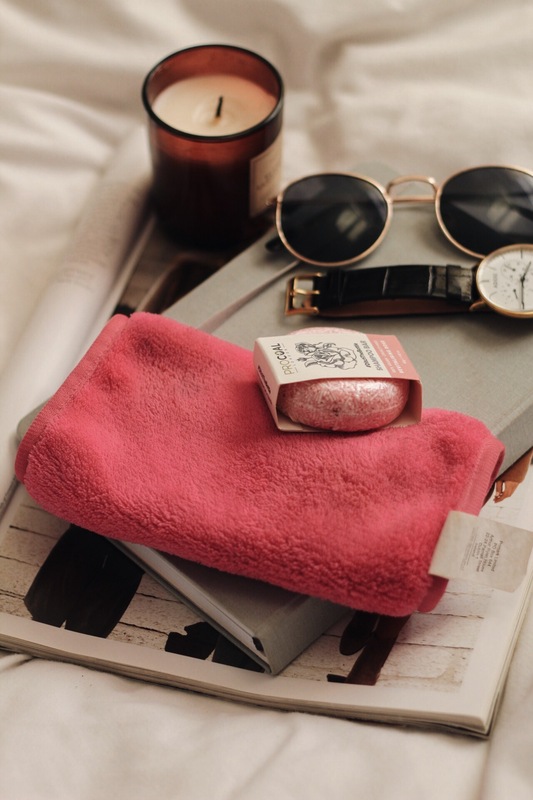 I’ve never really come across shampoo bars before – I’m intrigued! Love this! I’ve just been looking up the reusable cloths – definitely going to get some, that’s about 12 cotton pads a week saved! Thank you!! I love love LOVE this post! It’s given me so many idea on how to be as sustainable as I can. Personally, I’m looking to invest in a meustral cup and I’ve actually been using a reusable washcloth to remove my makeup and cleanse. Tbh, any little thing I can do to be more sustainable sounds good to me and this post has given me more ideas! I love that you’re trying to live a more sustainable lifestyle and advocating others to do the same. There are so many alternatives where we don’t need to really go out of the way for. I love that there are reusable makeup removers. Forget having to always use cotton. Thanks for sharing some of these suggestions! I’ve seen those bamboo toothbrushes and love the idea and look of them! But I love my electric toothbrush! I like the idea of shampoo bars though! Never heard of that before! Great article, Glad to read the article. It is very informative for us. Thanks for posting. Cheers!